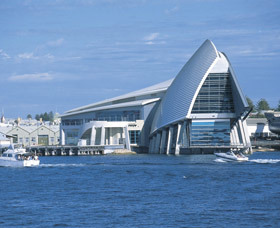 Celebrating the State's affinity with the Indian Ocean and high seas beyond, the Western Australian Maritime Museum takes you on an epic voyage through history, from early explorers and pearlers to America's Cup winners. 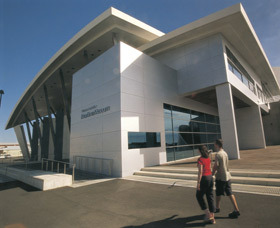 Overlooking the mouth of Fremantle's working harbour, the museum can be reached by water (on a river cruise from Perth to the B-shed terminal), by train, bus or car. It's a short walk from the station and there is ample parking in Victoria Quay. 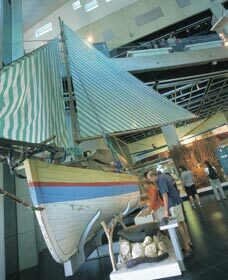 Six unique galleries present different chapters in Western Australia's maritime history, housing an impressive collection of leisure boats, handcrafted sailing boats, iconic vessels and commercial pearl luggers. 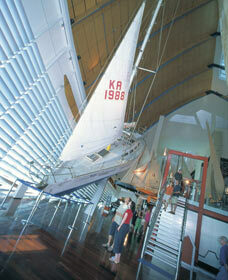 Among the most awe inspiring treasures are Jon Sanderson's Parry Endeavour, the Oberon class submarine and the winning America's Cup yacht, Australia II. Be sure to enquire about an Annual Boarding Pass. For only AUD2.00 more than an entry ticket (AUD3.00 for a family) it allows you to visit the Maritime Museum as many times as you like in the following 12 months and gives you discounts on submarine entry and gift shopping.